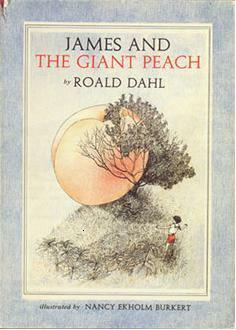 James and the Giant Peach is a popular children's novel written in 1961 by British author Roald Dahl. The original first edition published by Alfred Knopf featured illustrations by Nancy Ekholm Burkert. There have been reillustrated versions of it over the years, done by Michael Simeon for the first British edition, Emma Chichester Clark, Lane Smith and Quentin Blake. It was adapted into a film of the same name in 1996.